The JCM (Joint Common Missile), originally known as CMM (Common Modular Missile), was a joint Army/Navy program to develop a common replacement for the AGM-65 Maverick and AGM-114 Hellfire missiles. Originally, CMM was to be also a replacement for the BGM-71 TOW, but this requirement was dropped. The CMM/JCM program began in 2002, and a formal RFP (Request For Proposals) was issued to the industry in late 2003. Competitors included Boeing (teamed with Northrop Grumman), Lockheed Martin and Raytheon. During late 2003 and early 2004, the competitors tested components (rocket motor, guidance, fuzing, system interface, etc.) of their JCM proposals. This included test-launches of prototype missiles. 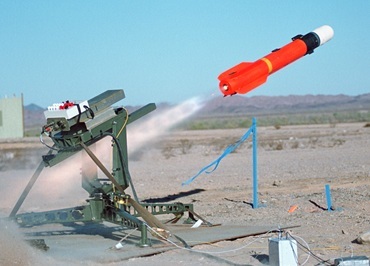 In May 2004, Lockheed Martin was declared winner of the JCM competition, and received the prime contract for a four-year SDD (System Development and Demonstration) phase. In December that year, the official designation AGM-169 was allocated to JCM. The prototypes are designated YAGM-169A, while the designations CATM-169A and DATM-169A have been allocated to captive-carry and dummy ballast versions of the missile. Externally, the YAGM-169A was similar to the AGM-114 Hellfire missile, which was presumably necessary for easy adaption of existing missile interfaces and launchers. 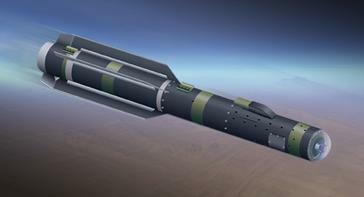 The missile used a variable thrust solid-propellant rocket motor and a tri-mode seeker with IIR (Imaging Infrared), laser homing and millimeter-wave (MMW) radar seekers. It was fitted with a multi-purpose warhead, which included a shaped charge against modern armour as well as a blast-fragmentation capability to destroy "soft" targets. JCM was to be used by all rotary-wing and fixed-wing attack aircraft of the U.S. Army, Navy and Marine Corps. At the start of the SDD phase, the goal for IOC (Initial Operational Capability) was set to 2010, and tentative plans called for a total production run of up to 54000 JCM rounds. However, in December 2004, all funding for further JCM development was terminated. Although not formally cancelled, the JCM program had been effectively dead since that time. By the end of 2007, a new program, called JAGM (Joint Air-to-Ground Missile), had been defined by Army and Navy as a direct successor to JCM. The requirements are essentially the same as for JCM (replacement of AGM-65 Maverick, AGM-114 Hellfire and BGM-71 TOW), and a tentative in-service date of 2016 has been announced.